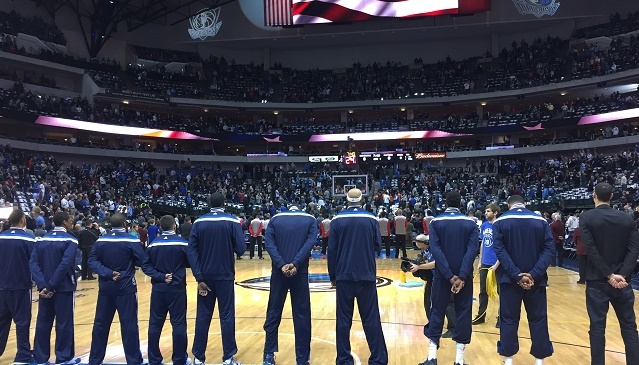 Despite the 99-92 Win over Toronto, Is there Trouble in Big D? The city has been buzzing with excitement with the acquisition of forward Amar’e Stoudemire but even after Tuesday’s 99-90 victory over the Toronto Raptors, the Dallas Mavericks still have a lot of work to do if they want to be mentioned along with Golden State and Memphis as legitimate Western Conference champion contenders. Outside of the early offensive struggles that had the team trailing the Raptors through three quarters, the difference of opinion between head coach Rick Carlisle and point guard Rajon Rondo reached its boiling point. Trailing 62-53 with eight minutes remaining in the third quarter, Coach Carlisle wanted Rondo to call a timeout and as you see in the video below Carlisle did not appreciate being ignored. After the timeout was eventually called Rondo was subsequently pulled for the remainder of the game and the duo of Devin Harris and JJ Barea were called on to lead the comeback. While the two played well in absence of the team’s starting point guard, Mavericks fans have to wonder can they be relied to play well with increased minutes for the rest of the season — or the playoffs — if the friction remains between Carlisle and Rondo. Even beyond this season there is a major question that needs to be answered; Will Rondo resign with the Mavericks? The easy answer at this moment is a resounding no, but the answer may not be that cut and dry. This may sound a little weird but what if they both hold the answer to the others championship quest. Carlisle is known for being a micro-manager and maybe having a point guard that is a floor general like Rondo will allow him to loosen the reigns and trust that the right play will be called and executed by the players on the court. When Dallas won the championship in 2011 it was led by Jason Kidd — one of the best floor generals in NBA history — and maybe that’s what the Mavs need again to get over the hump. Rondo, just like Carlisle, is known for doing what he wants and how he wants and while that worked in Boston when he was surrounded by a talented cast of players, NBA fans saw him struggle to lead a lesser-talented Celtics team. So what Rondo may need is that coach that will give him enough freedom to run the team but also know when to rein in the guard. With the struggles on the defensive side of the ball and the lack of rebounding on the bench some questioned the trade but when you look at the team’s record with Rondo (20-13) they have played enough to warrant the risky move, especially with the acquisition of Stoudemire who is an upgrade from Brandan Wright. As you will see in the post-game interview Dirk Nowitzki points out that this isn’t the first time that Carlisle has bumped heads with a point guard on his roster and the difference of opinion actually helped spark the team’s only championship run. So with the organization suspending Rondo for one-game, we all know it was more than what Coach Carlisle led it on to be in his conversation with the media after the Toronto victory, there still is enough time for the team to turn things around in this season and the future… the question is will Rondo be a part of those championship plans?